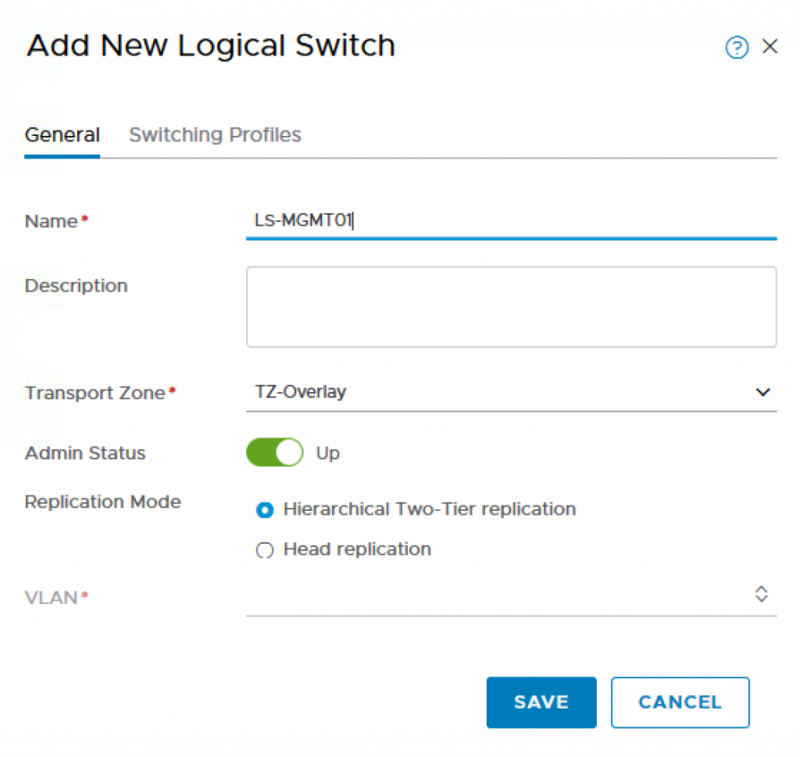 In this article, we are now going to start configuring NSX-T so that it will be ready for us to install Openshift and consume the networking and security services provided by NSX-T. The result is that Openshift can deliver on demand provisioning of all NSX-T components: Container Network Interface (CNI), NSX-T Container Plugin (NCP) POD, NSX Node Agent POD, etc) automatically when a new Kubernetes (K8S) Cluster is requested, all done with a single CLI or API call. 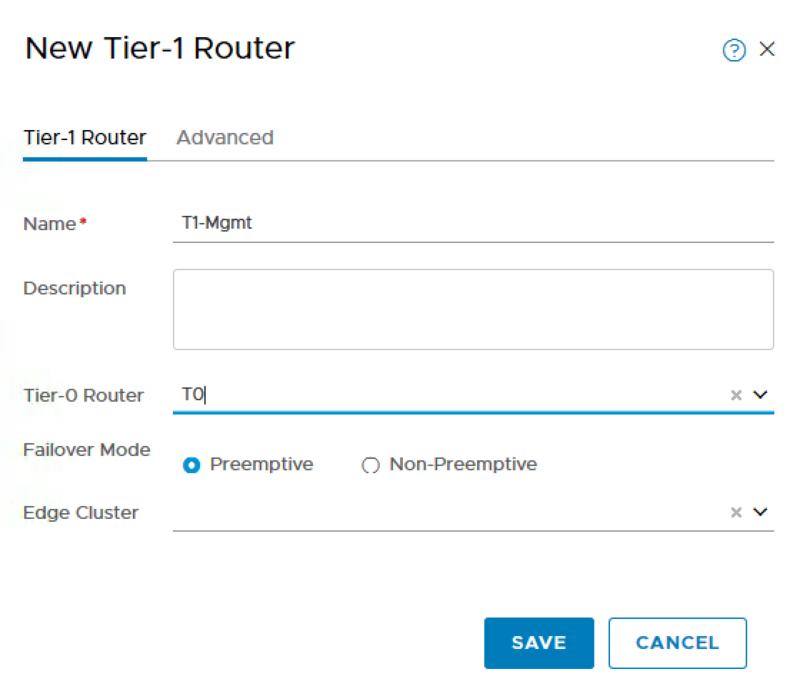 In addition, Openshift also provides a unique capability through its integration with NSX-T to enable network micro-segmentation at the K8S namespace level which allows Cloud/Platform Operators to manage access between application and/or tenant users at at a much finer grain level than was possible before which is really powerful! 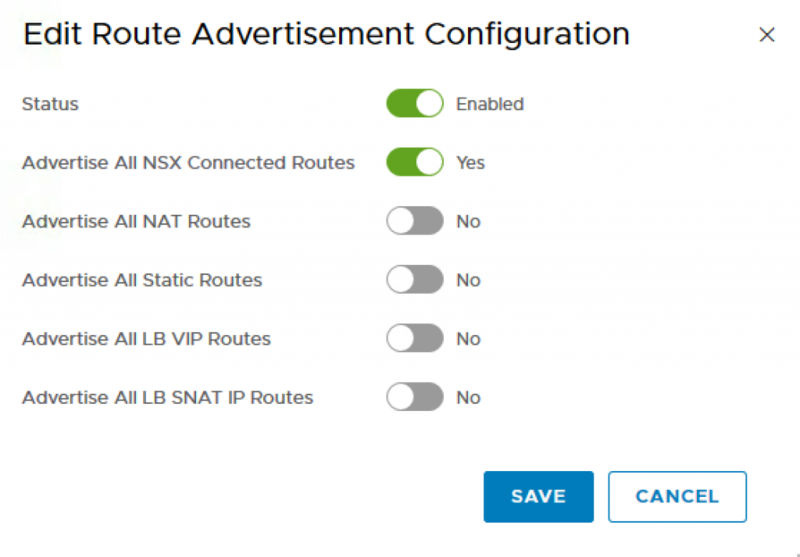 I will not be walking through a step-by-step NSX-T installation and I will assume that you already have a basic NSX-T environment deployed which includes a few ESXi host prepped as Transport Nodes and at least 1 NSX-T Controller and 1 NSX-T Edge. 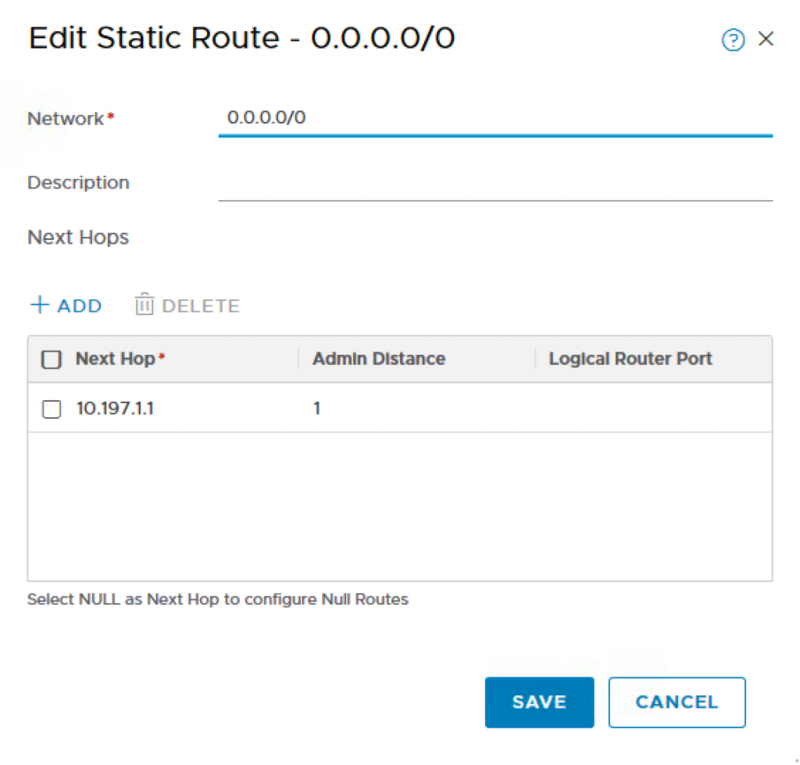 If you would like a detailed step by step walk through, you can refer to the NSX-T documentation here or you can even leverage William Lam Automated NSX-T Lab Deployment script to setup the base environment and modify based on the steps in this article. For my lab, I actually setup the NSX-T manually using my previous NSX-T 2.1 Install Documentation. You can follow the guide until the NSX Edges deployment because in NSX-T 2.1, you can actually use the NSX Manager to deploy the Edges. Step 1 – Verify that you have prepped the ESXi hosts which will be used to deploy the Openshift workload VMs. 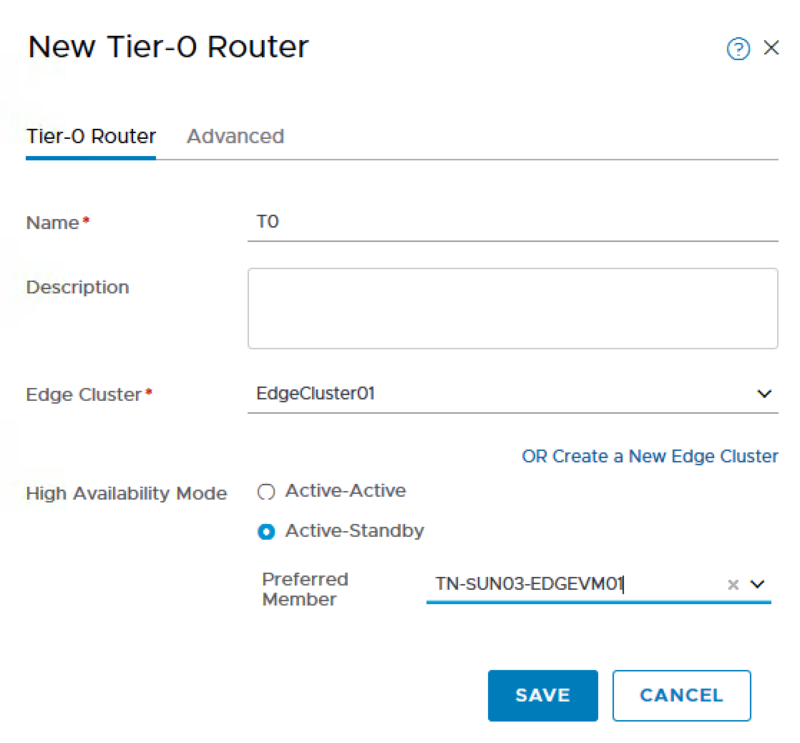 In my example below, I only have one host is that prepare for NSX-T Transport Nodes. This would also means the Openshift VMs need to be pin to this hosts. You can use Affinity Rules to do that. For my lab, I have a few other internal networks that I would like to route into the NSX-T networks. There I added another static route. After this step, you should have three Logical Switches as shown in the screenshot below. 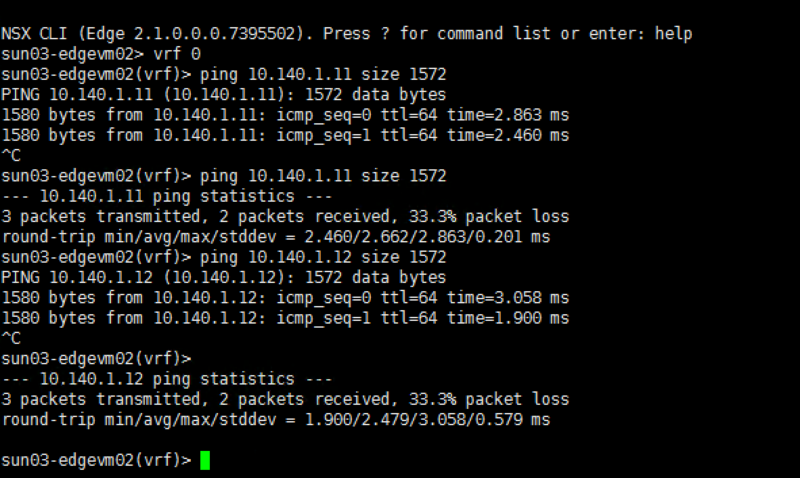 TheLS-EdgeUplink01 should be on TZ-VLAN and the LS-MGMT01 and LS-VIDs should be on TZ-Overlay. Step 8 – Because I have two Edges, you will need to create HA VIP. 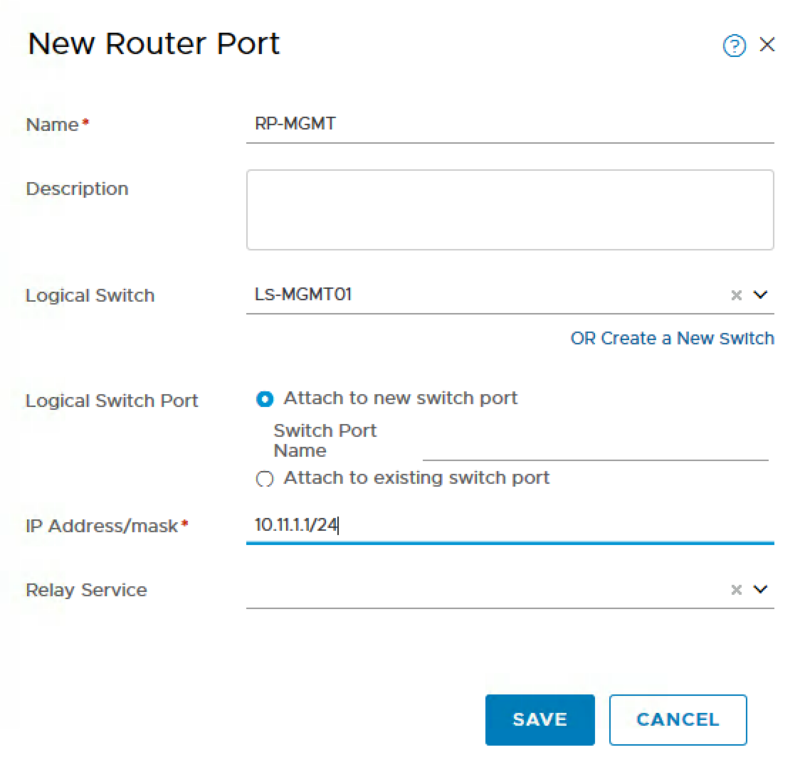 Step 12 – This step maybe optional depending how you have configured your physical networking, in which case you will need to use BGP instead of static routes to connect your physical/virtual network to NSX-T’s T0 Router. 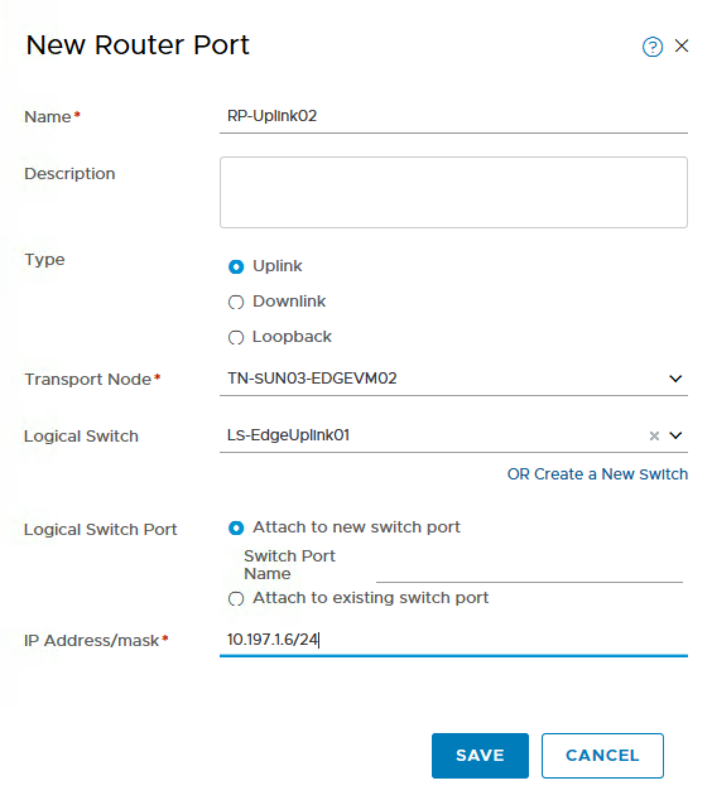 In my environment, I am using a virtual router (pfSense) and easiest way to enable connectivity from both my management network as well as networks that my vCenter Server, ESXi hosts, NSX-T VMs and Management VMs are hosted on to communicate with Openshift is setting up a few static routes. 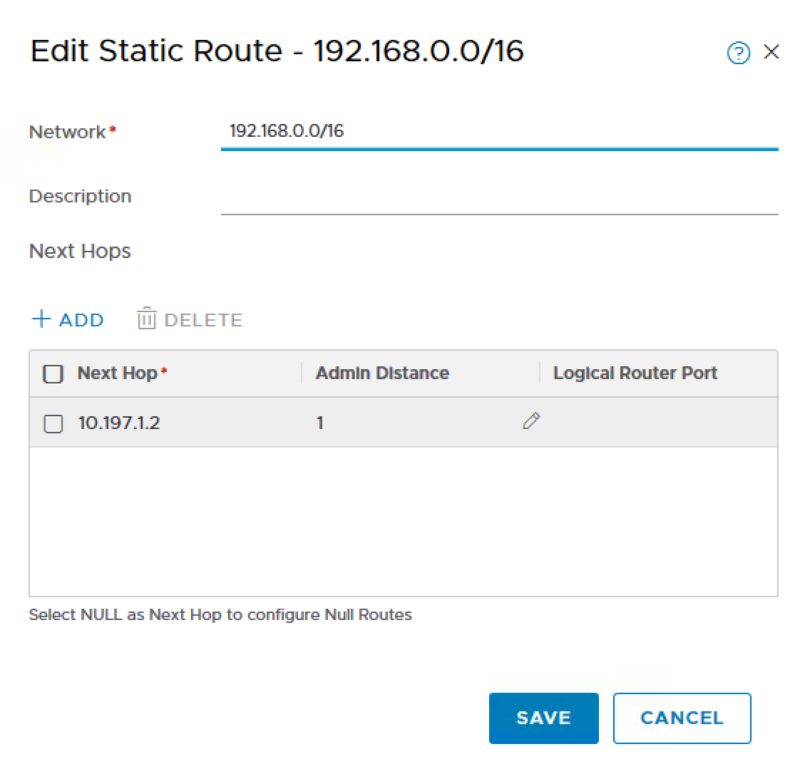 We need to create one static routes to reach both our Openshift Management Cluster Network (10.11.1.0/24) as well as Openshift Projects Network (10.11.8.0/21). I can summarise into 10.11.0.0/16 one route. For all traffic destine to either of these networks, we will want them to be forwarded to our T0’s HA uplink address which if you recall from Step 7 is 10.197.1.4. Depending on the physical or virtual router solution, you will need to follow your product documentation to setup either BGP or static routes. Step 13 – At this point, we have completed all the NSX-T configurations and we can run through a few validation checks to ensure that when we go and deploy the Openshift Management VMS (One Master and Two Nodes), we will not run into networking issues. This is a very critical step and if you are not successful here, you should go back and troubleshoot prior to moving on. To verify Overlay network connectivity between ESXi hosts and Edge VM, you should be able to ping using the VXLAN netstack between all ESXi hosts as well as to the Edge VM’s overlay interface. 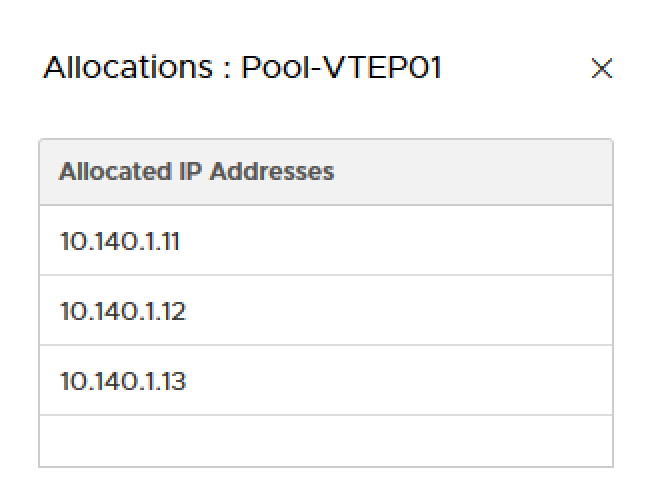 Below is a table of the IPs that were automatically allocated from the VTEP’s IP Pool, you can discover these by logging onto the ESXi host but they should be sequential from the stating range of your defined IP Pool. Also make sure you have your physical and virtual switches configured to use MTU 1600 for overlay traffic. OR you can also SSH to the Edge. 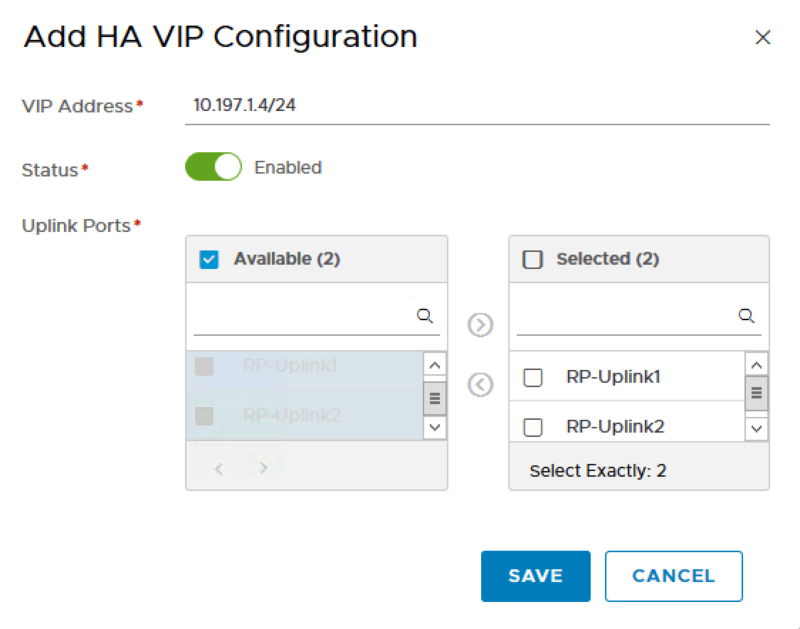 Do a vrf 0 and ping the overlay networks. In the next blog post, we will start our Openshift deployment starting with RHEL preparation.